I’ll be adding Blue Apron to this review in the near future. Now that Blue Apron has partnered with Weight Watchers, you’ll be able to get Weight Watchers meals delivered to your door. So, I’m curious to see how revised calorie counts will have changed my opinion of this meal delivery subscription service. If you’re interested in trying out Blue Apron before then, you can use this link to save $40 off your first two boxes. HelloFresh introduced a wine pairing part of the program and new way to save money on it. 50% Off Your First Wine Box! Note: that’s a box of wine, not wine in a box. This offer is valid for new customers only and includes Red, White or Mixed plan. 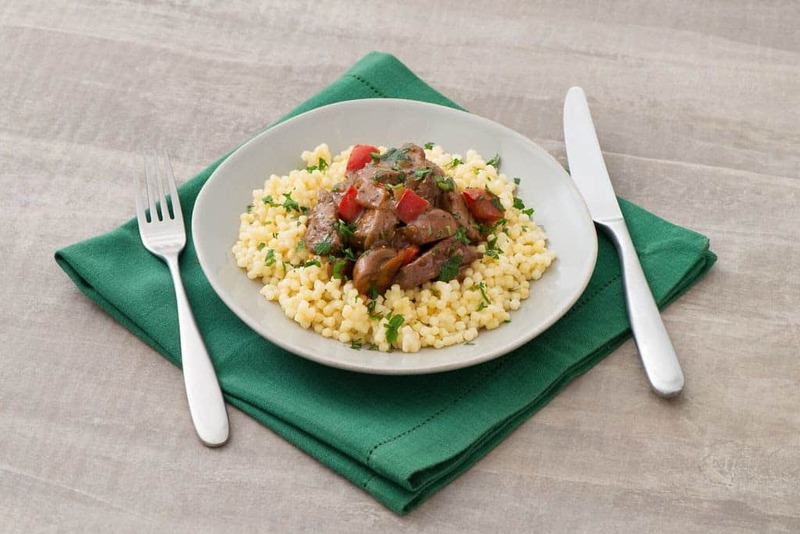 Here is another great offer from HelloFresh: Save $60! $20 Off of Your First 3 Orders with Code GETFRESH60! The Sun Basket review below was just updated! Tri-State Shoppers – Get 2 Meal Kits for $22. Limited Time. Midwest Shoppers – Get 2 Meal Kits for $22. Limited Time. Philadelphia Shoppers – Get 2 Meal Kits for $22. Limited Time. Now onto the original review! Why did my husband and I first considered using meal kit delivery services? Because we were in a menu rut. I found myself making the same few meals repeatedly. It was boring. Cooking wasn’t fun anymore. Plus, we were trying to eat healthier. We’d seen advertisements for companies like Blue Apron–plus pictures from friends and family members on Instagram and Facebook of their Blue Apron meals. So we figured, what the heck, let’s give these meal kits a try. And try we did. Not only did we try companies like Blue Apron, we tried Blue Apron itself. The meals were delicious but high in calories and expensive. The three companies we tried originally that allowed us to make fresh meals conveniently and affordably were HelloFresh, Sun Basket and Peapod. Yes, Peapod, the grocery delivery service now offers meal kits. I mentioned this in my Peapod review, too. Now this review has a fourth meal kit delivery services so it is HelloFresh vs. Sun Basket vs. Peapod. If you’ve never tried a meal kit service, let me go over the basics of how most work. When you sign up with a meal kit service, you make a few selections upfront. With all the services we tried, we had to provide a credit card. However, we were not roped into any long-term agreements. You could sign up for one week and cancel the next. All of the meal kit delivery services we tried let us pause our service if we were traveling. When your service is active, you can go in and choose your menu up to three weeks in advance, and you can change your menu selections or even the number of meals you were receiving up to a week before your next delivery. This latter convenience was super helpful when our daughters came home for spring break and we wanted to up our delivery from two meals per day to four meals. Then, when they went back to college, we went back to two meals per day. Most meal kit delivery services are designed to give you dinner options for two to three nights per week. Many of the ones we tried have also added breakfast options. Sun Basket had an overnight oats options. HelloFresh has had egg dishes, pancakes and a bacon flatbread that I actually made for dinner one night. Yeah, breakfast for dinner! Whether you choose two meals a week or five, meal kit delivery services deliver that week’s box in one delivery. That means you have to ensure you have room in refrigerator so when you unbox your ingredients, you have somewhere you can put them so they stay fresh. Since starting using meal kit delivery services, I’ve noticed how many of these boxes are showing up on my neighbors’ doorsteps throughout the week. Or, frankly, how many of the boxes are flattened and put out on recycling day. Bottom line: meal kits are hugely popular. Inc.com says that in the next 10 years, the meal kit industry could grow to $5 billion. 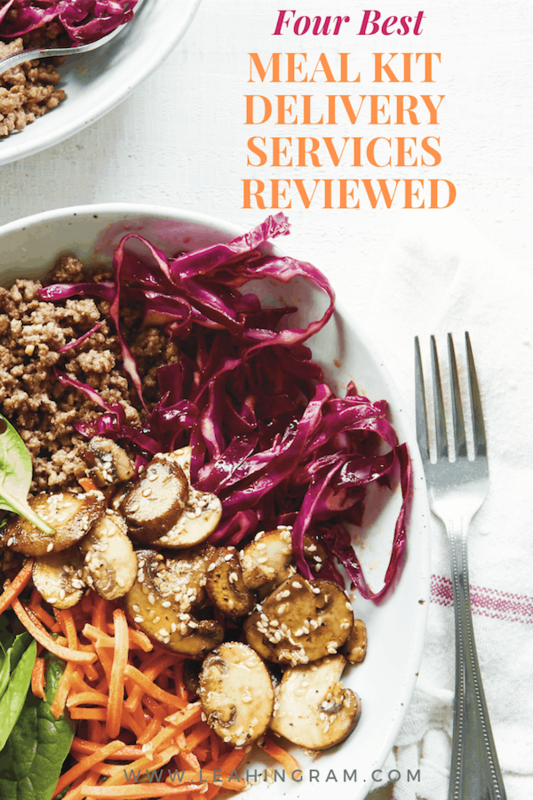 Now that you have a better understanding of how these meal kit delivery services work, let me move onto my review of HelloFresh, Sun Basket, and Peapod. They are listed here in alphabetical order. Our family has been cooking with HelloFresh meal kits since January and we love them. We get three meals a week, which is the right amount–enough to make dinner interesting a couple nights a week but not too much to be overwhelming. HelloFresh got us out of our meal rut and into eating a healthier menu. My husband, who tends to avoid anything green, has chowed down on arugula salad and roasted Brussels sprouts–something I’d never witnessed in 25 years of marriage. Combined with a stepped up exercise program, eating HelloFresh meals three times a week has helped my husband to lose weight. Most recently he told me he was in three belt notches. His better health is all the more reason for us to continue ordering, cooking and serving HelloFresh meals. Right now if you sign up for HelloFresh using this link, you’ll save $40 on your first two boxes. This is the ingredients for and the end result of a HelloFresh meatloaf dish I made recently. Each recipe card includes the prep time, the cooking time, and the number of calories per portion. I have never had a HelloFresh meal that took more than 40 minutes to prepare and cook. Like other meal kit services HelloFresh ingredients are pre-portioned so there is no food waste. Also, the packaging itself is small and not wasteful. The garlic comes pre-peeled, a nice convenience. Many veggies do, too. HelloFresh does a good job of presenting meals with at least three main ingredients. It might be a meat, a cooked vegetable of some kind and a salad. With a former football player husband, there would be no way I could present a dinner that barely fills the plate. In nearly every instance HelloFresh meals did not disappoint. In a few months of using HelloFresh, we’ve already determined some favorite recipes, which we’ve made again. That’s the great thing about these recipe cards. You can keep them on hand–maybe even put them in a loose-leaf notebook–and use them in the future, with ingredients you purchase at the supermarket. With HelloFresh delivery is always free. I like that. 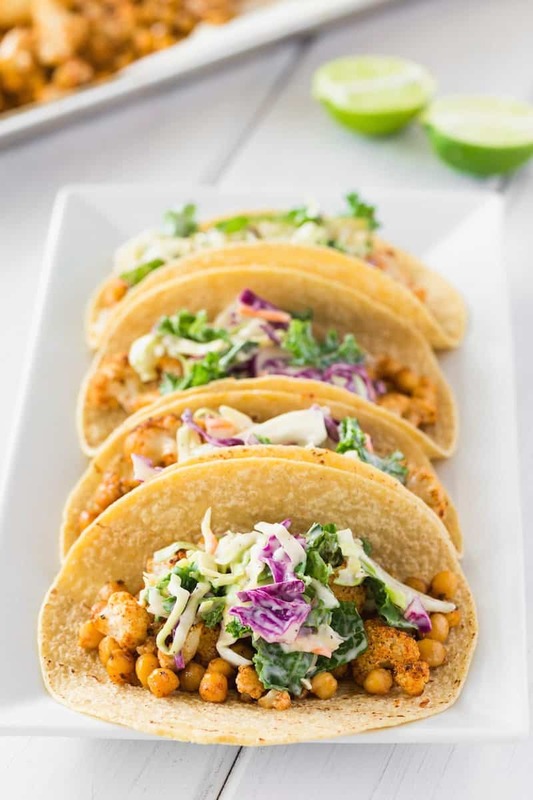 Right now if you sign up for HelloFresh meal kit delivery services using this link, you’ll save $40 on your first two boxes. Another time we were too busy to cook the night the boxes arrive. When we finally got to making a meal kit, some five days after delivery, the vegetables weren’t good anymore. HelloFresh has excellent customer service. They comped us a week and knocked $20 off the next. Also, when choosing my menu in advance, we tend to like chicken. However, the menu doesn’t tell you if you’ll be cooking with chicken breasts or chicken thighs. I have an issue with chicken thighs (it’s a texture thing) so when I would get a box with thighs when I thought it would be breasts, I was unhappy. It would be great if HelloFresh was more descriptive so I could know if I’m getting chicken thighs or chicken breasts. When HelloFresh describes steak dishes, it will say if it is skirt or sirloin. Same thing with pork–whether it is chops or tenderloin. Maybe no one else has an issue with chicken like I do. Still I wish that option existed. Nonetheless, it hasn’t stopped me from selecting chicken dishes. In fact, recently we made a Rachael Ray Buffalo Chicken dinner. As you know from this popular review of Peapod grocery delivery service, I was a Peapod customer for years. I found it a convenient way to go grocery shopping. As the review points out, I’ve saved tremendously when buying meat. A few years ago I’ve discovered that I can use Peapod to save tremendously on meal kit delivery. 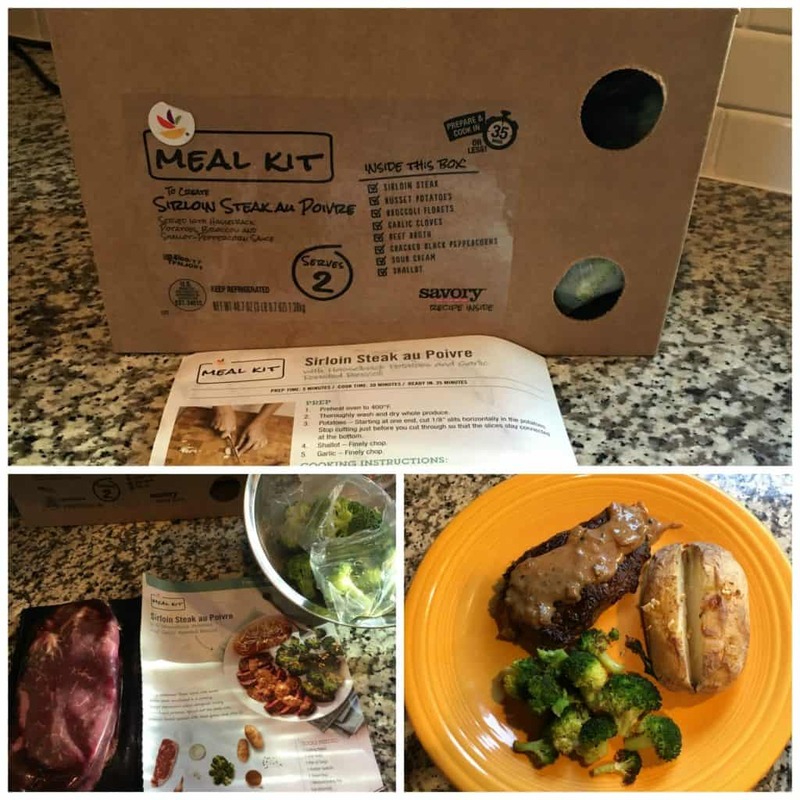 An example of meal kits available on Peapod recently. Check out the price per person! So I ordered a meal kit. It was for chicken cacciatore. What attracted me to it was the fact that it was a meal kit designed to be cooked in a slow cooker. None of the other meal kit services I’ve tried offered a Crock Pot option. Even better than the price was the fact that this meal kit served six. Neither Sun Basket nor HelloFresh ever offered a meal kit that served more than four people. Like I said earlier the meal kit for chicken cacciatore that I chose from Peapod was designed to be cooked in the Crock Pot. That’s a huge convenience. You know what else was convenient? When the meal kit arrived, all the vegetables were pre cut and pre chopped. That meant even less prep time for me. While the directions suggested I cook the chicken in a pan first and then add to the slow cooker, I never do that when using my Crock Pot. Everything goes in at once–raw meat included–so that’s exactly what I did with this recipe. I opened all of the Peapod meal kit containers, dumped it in my slow cooker, set it on low for eight hours, and went about my business. Around six hours from the time I started cooking, the meal smelled done. I checked the meat; it was fully cooked. So I called everyone in for an earlier-than-expected dinner. That’s wasn’t a problem as everyone’s tummies were grumbling, having spent the last few hours smelling this delicious meal cooking away in the slow cooker. One of the fun experiences about using meal kit services like HelloFresh is the plating process. If you’re a Food Network nerd, you get it. You want your food to look pretty. Not so with the Peapod meal kit. 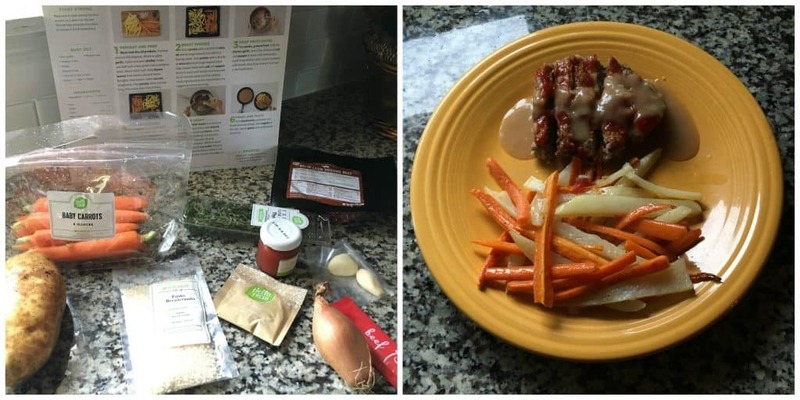 The picture below is from another Peapod meal kit for Steak Au Poivre. So yeah, not so pretty. Not very exciting ingredients. However, it was a delicious, filling, affordable meal. I’m not so upset about the esthetic to put it in the “con” column. It’s just a fact–a Peapod meal kit doesn’t come out as pretty as other meal kit services. What it does come out as is delicious. Even my daughters who are notorious about not liking most tomato-based sauces (save for pizza) dug into the chicken cacciatore, cleaned their plates and asked for more. My husband, who grew up in a household with Italian immigrant grandparents, praised the dish as well. My mother, who was visiting at the time, wanted the recipe so she could make it the next time her girlfriends had a potluck dinner. Each meal kit contains prepared portions and ingredients for delicious, restaurant-quality meals with minimal prep time. Unlike traditional meal kit delivery services, the only way to get a Peapod meal kit is to order it with your regular groceries. That’s not a big deal, if you’re already using Peapod over a trip to the supermarket. Peapod does have a delivery charge–orders of $60 to $100 cost $9.95 for delivery. Orders over $100 get a discounted delivery rate–$6.95. Now that we live in Western Pennsylvania, we no longer have access to Peapod. Therefore, no more access to Peapod meal kits. Special Peapod offer just for my blog readers! Get $20 Off Your First Order of $90+ at Peapod.com with code SFRUGAL20. What sets Sun Basket apart from other meal kit delivery services like Blue Apron, HelloFresh and others is that its ingredients are USDA certified organic, making it an organic meal delivery. When you sign up for Sun Basket, you can also opt to make it a vegetarian meal delivery service. Bonus: when we had a vegan friend visit, he confirmed that some of the Sun Basket vegetarian options were, in fact, vegan. We first tried Sun Basket during a time when both of our daughters were home from college and they had friends visiting. Some of these friends are vegetarian and vegan so it was great to have the vegetarian meal delivery option. In fact, at one point I had four twentysomethings in my kitchen, cooking a vegan Sun Basket meal. Most recently we tried Sun Basket again. This time we, the parents, are the ones who have decided to go vegetarian. Given my previous, positive experience with Sun Basket, I knew they would be the best choice for vegetarian meal kit options. In fact, given my praise for Sun Basket in the past, the company offered to send us meals for free for one week. You can save on your first Sun Basket order! You’ll get $80 off when you sign up. That is, $35 and then $25 off the first and second orders, plus $20 off your third order. Unlike some meal kit delivery services, which portions are so small you leave the dinner table hungry, this was not the case with Sun Basket. The meal the kids made was supposed to feed just four people, but there were seven people sitting down to dinner that night. While we did add a salad to the menu, the bulgur vegan stew from Sun Basket served us all. It was delicious and filling. The vegan and vegetarian friends loved it and asked to take a picture of the recipe card so they could make it again when they went back to college. This most recent time cooking with Sun Basket, the portions were, again, hearty. Technically, the Pomodoro pasta dish we made served two only. However, our oldest daughter was visiting and the meal for two not only served three of us but we had leftovers to boot. Even better our daughter is following the Noom eating plan, and the whole wheat pasta that Sun Basket provided was a green food. If you are a Noom devotee, you know that getting the most green food possible is a win-win. That is, no food is off limits with Noom. Instead, food is divided into green (for go), yellow (proceed with caution) and red (ok to enjoy but in limited quantities.) This way of looking at food is one of the reasons that some people believe that Noom is the last weight loss program you’ll ever need Sign up today. Another pro for Sun Basket–the fact that everything is USDA certified organic. That’s a huge deal if you’re trying to eat clean. I know it’s important to my own daughters, who have asked that we buy only organic meat and produce when shopping in person at the grocery store. Sun Basket charges for delivery. 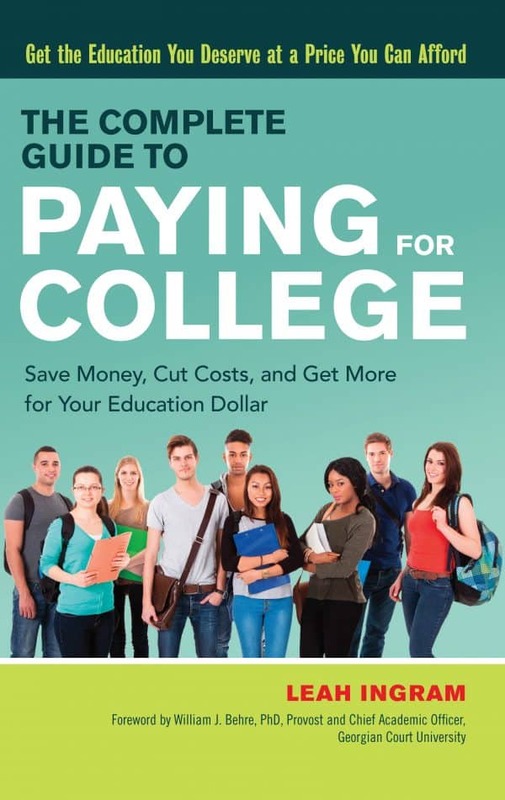 It is $6.99 each time. The meals per person are also more expensive than any other meal kit delivery services. However, for people who want to eat certified organic food, the price may be worth it. And if you’re vegan and want to use a meal kit service, Sun Basket is likely your only option so you pay more for it. Even with the ingredients and delivery costing more, overall, there there aren’t that many “cons” for Sun Basket. What I have loved about using meal kit delivery services is getting back to the act of cooking from scratch. It’s something I haven’t done in a long time, beyond making a salad or creating a dish in my Crock Pot. For me cooking everything from scratch is flexing a muscle that has gone lax. It feels good to use my brain this way. HelloFresh, Sun Basket and Peapod meal kits all allowed me to do this. I realize that I could be using cooking app or recipe in a magazine to cook from scratch. But cooking that ways requires a trip to the supermarket, measuring out ingredients and more. That’s not always a good use of my time and money. In the past I’ve had good intentions of cooking from ingredients I bought. However, sometimes life got in the way, and I ended up not using or forgetting about at least one ingredient. And suddenly it’s become a mystery liquid in the vegetable crisper. With a meal kit delivery service, yes, I’m paying for the convenience of someone else getting me my ingredients. However, I’m also avoiding wasting money on ingredients that, well, go to waste. To me that’s a smart way to spend my time and money. It makes me a smart shopper and feel like a sophisticated consumer. I’m confident you will feel the same way, too. We are Hello Fresh fans too. I had the same issue with chicken breasts vs. thighs that led to a couple disappointing meals. However, I did figure out a way to determine which type of chicken is included in a meal. If you login on the app and go to My Menu, you can scroll down to see the list of ingredients, which shows the type of chicken. I do this when I’m making selections a few weeks in advance so I can avoid chicken thighs…. Leah, I had to laugh at your comment about Blue Apron recipes being high in calories; I’ve never used so much olive oil in my life! But we just canceled BA because almost every meal had “spicy” in the name, and my wife does not like spicy food. Also, BA loves pickling, and my wife doesn’t like vinegar at all. How do these other services compare in terms of spicy/hot offerings and vinegar-based marinades? Thanks for the comment. I don’t recall ever having vinegar in a Peapod or Sun Basket meal kit. It appears infrequently in HelloFresh. Just this past week it came with a slaw recipe, which I loved; hubby hated it. (He, too, doesn’t like vinegar.) Some of the recipes are spicy but I’ve learned to a) not choose them when choosing the next week’s menu and b) if I missed the spicy part, not using that spice or only using a wee bit. I’ve never had an issue with things being too spicy with HelloFresh, and I have a wimpy palate. Hope that helps. We have tried 3 so far, including Hello Fresh and SunBasket. 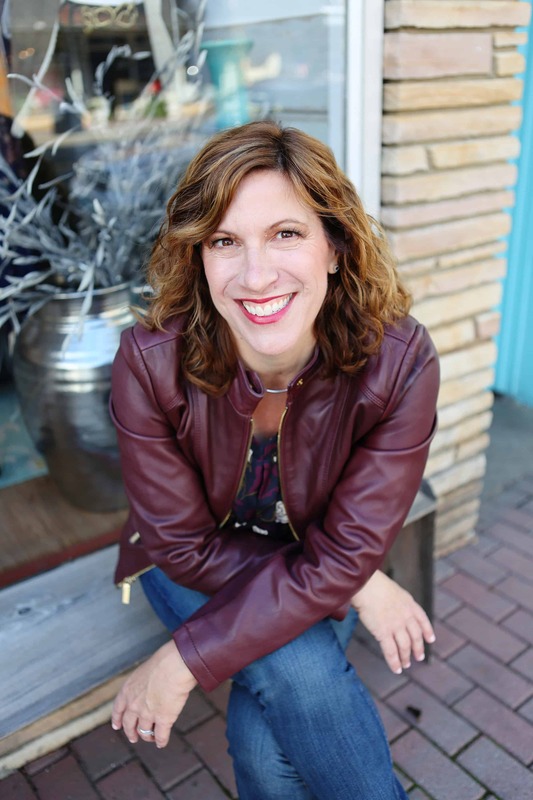 It’s interesting that you experienced such great customer service with Hello Fresh. We had a bad experience in that department and there was no attempt to keep us as customers when I quit over it. Basically, I had put in preferences that we were gluten-free, and there was a week where there were not enough GF options, so I asked to skip. They wrote back, saying ok, and here were some good options for us the following week. Apparently, even though I’d already said to skip the week in question, because I didn’t write back to “confirm” that, it came anyway…and they refused to remove the charge. We’ve been happier with Sun Basket, and feel good about the organic meals. I’m sorry that happened to you. It did take some getting used to HelloFresh’s scheduling and how far in advance you have to make selections. The most difficulty we’ve had is the one time when we wanted to change the date of our delivery, missed our window, and ended up going two weeks without a box when customer service said that wouldn’t happen. I’m glad you’ve been happy with Sun Basket.